Paris-June30(BNA) Royal Endurance Team Captain Shaikh Nasser bin Hamad Al-Khalifa today paid tribute to His Majesty King Hamad bin Isa Al-Khalifa for supporting Bahrain’s horse riders who continued their outstanding performance during their annual European tour. He credited the Royal tremendous support for the Bahraini team which overcame a stiff challenge in the 130-kilometre Lignieres Endurance Horse Ride at Lignieres and dominated the race to clinch the top four positions. He described the performance as a positive result for the Royal Team in the European endurance races, which part of preparations for upcoming championships. Shaikh Nasser said that the Royal Team has established itself a serious contender to reckon with, claiming three historic victories in Dillingen, Germany, in addition to Lignieres victory in France. The following horses have been ranked for the 2013 Young Rider World Championship to be held July 27th in Tarbes, France. 15.3” bay Arab/Walking Horse gelding, 11 y.o. 15.3 chestnut Arab gelding, 11 y.o. 15:1 chestnut Arab gelding, 12 y.o. 15.2 chestnut Arabian gelding, 19 y.o. 15.1 grey Arab gelding, 9 y.o. AN ECCLESHALL horse rider has been chosen to represent Great Britain at the FEI World Young Rider Endurance Championships next month in France. tt Corcoran, aged 16, will be part of a five-strong British team tackling a tough 125km course at Tarbes in the foothills of the Pyrenees. ENDURANCE rider Andrew Theodorou from Tregaron has been selected to represent Great Britain at the 2013 FEI World Young Rider Endurance Championships in Tarbes, France next month. The 18-year-old will tackle the tough 125km course in the foothills of the Pyrenees riding his part-bred Arab horse Jamal. The five-strong British team for the championships was chosen after a hotly contested team selection trial at the Endurance GB Wimpole Way ride in Cambridgeshire. Andrew said: "It is great to have been selected for the team. In two weeks it will be the National Championships of Endurance GB at Kings Forest. The 2013 Inter Regionals are running alongside the Championships. The stage is set for a fabulous weekend at Kings - there is a class for everyone from 16km to 160km. Come and ride, watch or help! Do not forget to book a delicious home cooked supper (including pudding!) - you will be able to enjoy this whilst watching the flying finishers in the championship classes. There is even a bar on site! Come and be part of this highlight of the endurance year whether you are riding, crewing or helping - all are welcome! After a very successful Team Selection Trial on Sunday, 16th June 2013 at Wimpole, the Selectors are pleased to announce that the following Team has been selected to represent Great Britain at the World Endurance Championships for Young Riders and Juniors to be held at Tarbes, France on 27th July 2013. Chairman of Selectors, Di Latham, said on behalf of the selectors and management team, “We were delighted that the riders and their crews all set a high standard with their turnout and presentation; all combinations achieving their objectives for the day, whilst working towards the ultimate goal of the Championship. This is a strong Team, who have all worked extremely hard, and we are confident that they will produce their horses at peak fitness to be competitive against the best in the World”. Chef d’Equipe, Helen Boston said, “The championship course at Tarbes, France, will provide a testing course for the 120km race, due to its location being in the foothills of the Pyrenees. The temperatures at that time of year could also prove difficult as we are expecting them to reach 35 degrees. After working with the team for a number of years, and seeing how all of them turned out and performed at Wimpole yesterday, I am confident that they will prepare themselves and their horses so that once again Great Britain can prove that it is a force to be reckoned with on the Young Rider World Endurance stage, and I am very much looking forward to working with them and the rest of the team management”. The 2013 FEI World Endurance Championships for Young Riders and Juniors will be held at Tarbes, France on 26th – 27th July 2013. All the news and behind the scenes views in the run up to and during the World Championships can be found on both Endurance GB’s and Equestrian Team GBR’s websites visit www.endurancegb.co.uk and www.equestrianteamgbr.co.uk for more details. It is with immense pleasure that I announce that the US team of young riders will ride in memory of Deborah Reich at the 2013 Junior/Young Rider World Endurance Championship in Tarbes, France. Deborah was an avid endurance rider, a member of the 2010 and 2011 US Equestrian Teams, and a committed mentor of young endurance riders. She passed away in February. Deborah enthusiastically joined the sport of endurance riding in 2005 with the dream of one day representing the USA internationally. That goal presented a huge mountain to climb, but Deborah’s attitude and focus were undeterred. 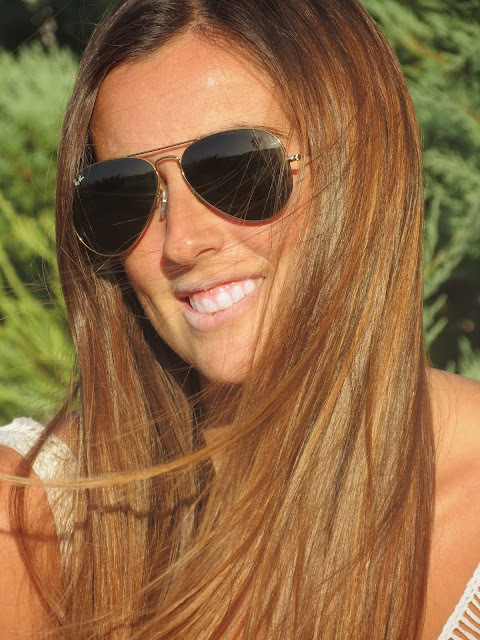 She dedicated her all to the effort, and her commitment paid off when she was chosen to represent the USA for the 2010 World Equestrian Games. At that ride, she was the only US rider to finish on her great horse Juniper and they finished in a time that still stands as the fourth fastest time of any American rider in any world championship to date. Deborah had an uncanny knack of always finishing in a strong position. Her second most notable result was her gritty finish at the 2011 Pan American Games in Chile. The US team was in the lead but at risk of losing that position. At that point Deborah was our trailing team member, and in order to keep the team’s medal-contending position she was asked to speed up on the final loop. She asked her horse Pandor to give his all, and even after suffering some in-race setbacks, Pandor recorded an incredible last loop pace of 20 km/h. In the end, the US team won the silver medal, losing the gold by only one minute and 47 seconds. Deborah was a terrific role model for other riders because of her commitment to racing as part of a team rather than simply riding for personal success. She was also a very generous sponsor of endurance riding, choosing to direct her philanthropic and mentoring support toward Young Riders and their international efforts. For these reasons, I am simply thrilled to have the opportunity to honor Deborah at the 2013 Junior/Young Rider World Endurance Championships. Her spirit will ride with the US team in France. God bless. John Teeter will be leaving his favorite endurance horse 'Sunny' at home while he spends a twelve month 'Tour of Duty' in Washington DC. pictured at left John Teeter and Amara's Sonata, at right Steph Teeter and Jaziret Bey Musc riding in Owyhee County, Idaho. photo by Steve Bradley. Three of this year's Presidential Innovation Fellows (PIF) began work at the National Institute of Standards and Technology (NIST) on June 18, 2013, helping the institute address issues relating to connecting networks of machines, facilities and people, and also to help energy consumers make better use of their energy usage data. NIST's Presidential Innovation Fellows are (L-R) Sokwoo Rhee and Geoff Mulligan, who will work on cyber physical systems, and John Teeter (far right), who will work on the Green Button Initiative. The three fellows, part of the second round of the PIF program, started their 12-month tours at NIST on June 18, 2013. The PIF program pairs top innovators from the private sector, nonprofits and academia with top innovators in government to work on challenges whose solutions could provide immediate benefits and cost-savings to American citizens, entrepreneurs and businesses. The three NIST fellows, who were selected from a highly competitive pool of applicants, will serve a 12-month "tour of duty." Mulligan has been instrumental in Internet development, recently having helped design IPv6, the latest version of the communications protocol that routes traffic across the Internet. He holds over 15 patents in computer security, networking and electronic mail, and was called to testify before Congress on electronic commerce and computer security. Rhee is an entrepreneur who helped to initiate the cyber-physical systems and "internet of things" industry in the early 2000s. His work and achievements have been recognized by multiple awards including MIT Technology Review's Top Innovators under 35. NIST's third fellow, John Teeter, will work on the Green Button Initiative,** which aims to enable energy customers to download their energy usage data securely in machine-readable format directly from utilities. He will be part of a "Green Button for America" team, the other member of which will work from the Department of Energy. A key goal will be to provide leadership to enhance Green Button data consistency through testing and certification, based on feedback from consumers, vendors and utilities. Teeter has a 40-year history in the electrical and technology industries, including most recently as chief scientist for People Power, a software company enabling remote control and management of connected devices from mobile devices. Teeter was the founder and CEO of First Step Research, prior to which he was a founder and VP of Engineering at Gold Hill Computers. The Office of Science and Technology Policy (OSTP) runs the PIF program, now in its second year, and asked agencies across the government to propose new research areas to expand the PIF program for this year. NIST's two proposals were among those selected, bringing the number of project areas up to nine from last year's five. Fellows are funded by the sponsoring agencies. More information is available in the White House blog post, "New Round of Innovators Joins US Government to Tackle Big Challenges" at www.whitehouse.gov/blog/2013/06/24/new-round-innovators-joins-us-government-tackle-big-challenges. * For more on NIST work in cyber-physical systems, see www.nist.gov/el/smartcyber.cfm. ** For more on NIST work on the Green Button Initiative, see www.nist.gov/smartgrid/greenbutton.cfm. On the heels of a bit of a gloom in the country after the national football team’s debacle in the 2014 Brazil World Cup qualifying campaign, comes exhilarating news of the victory of Sultanate’s equestrian rider HH Sayyid Loay Bin Ghaleb Al Said at the Endurance Riding Championship in the Czech Republic. Oman’s experienced and well-known equestrian ace clinched the six-stage 160-km ride over some testing terrain for both the rider and his mount. Loay’s winning performance adds to the numerous sporting glories of the Sultanate and reflects the rising standards of our sports-persons in recent years. Endurance riding is a complete test of the rider and the horse, and it requires exceptional skills, dedication, determination and, above all, lasting stamina to be able to complete the course. Loay deserves all the accolades for keeping the Sultanate’s flag flying at this international ride which was also a qualification for next year’s Endurance World Cup which will be held in Normandy, France. Laoy’s triumph has brought the smiles back on the faces of Omani sports fans – it was a proud moment for Oman’s endurance riding star to see the national flag fluttering at a major international sports event. This is a letter from a young rider, Cecilia Garcia, who will participate in World Youth Endurance Riders in Tarbes (FRA), with a Mauxi family horse, and with great feeling, expresses her love for the sport of Equestrian Endurance from her native Uruguay expressed satisfaction that we have to be representative of the National Flag Celeste. The thrill of representing their country in some tracks far from her home turf and with the hope of bringing a new victory with her team. "First I want to thank you for letting me life grow with the sport so cute and we all want the" ENDURO. " After many joys, triumphs and sorrows satifacciones today is for me to fulfill a dream that is to represent Uruguay in a world championship, as it was my last chance to run a world as young rider, next year and happened to be rider and start again from scratch. THE weekend of June 7-10 saw the running of the 48th Tom Quilty Gold Cup. This year’s event was held in Queensland (the event moves from state to state each year) in the small township of Kilkivan in the South Burnett district. Kilkivan has been hit with three major floods in the last 18 months but despite this the small community managed to host an excellent event with help from sponsors and local government support to rebuild many of the buildings lost in those floods. 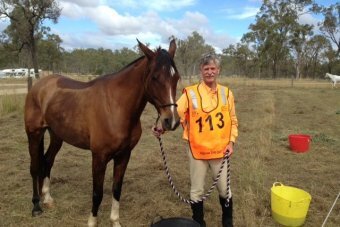 Five members of the Tenterfield endurance-riding club attended with their horses plus support crew to take up the national challenge. They joined 245 other riders from across Australia and several international riders. 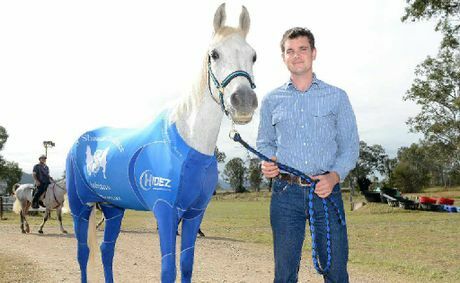 Greg Lyons was riding Chingford Just Dreaming, Narelle Childs was riding Halo Kazaam, Damien Keys was riding Elfar Karnella, Michael Combe wasriding Nasr and Caroline Windle was riding Sarina Rosetta. This year, the weather was unseasonably warm, but at midnight on Friday, June 7, riders headed out into the night on the first leg of the five-leg course. Manama, June 23 (BNA) -- Bahrain's Royal Endurance Team yesterday secured a 1-2-3 finish in the Best Endurance Horse Ride Dillingen 2013 in Germany. Team captain Shaikh Nasser bin Hamad Al Khalifa put up another splendid performance as he steered CD Uproar to win this challenging six-stage ride amidst broad participation from 60 riders from all around the world. Held at the Military training area in Dilingen District, the ride saw other participants coming from the UAE, Germany, Belgium, Sweden, Switzerland, Spain, Italy, Slovakia, Poland and Czech Republic. This 160km ride was divided into six stages, including 35km each for the first and second stages. The third and fourth were over 25km each, while each of the remaining fifth and sixth stages covered 20km. Shaikh Nasser was in superb form as he crossed the finish line first in seven hours, 31 minutes and 38 seconds, just a second ahead of fellow Bahraini teammate Abdulrahman Al Saad, who came second on Quenzo. Issa Al Hazza (7:42:29) then rounded off Bahrain's impressive show bny coming third on Raja Du Roc'h. Following their success at the national endurance championships, Andrea and Georgia Smith have both been named in the endurance high-performance programme squads for the 2014 World Equestrian Games in France. The Smith family from Mangaweka did the trifecta at the national championships at Easter, with mother Andrea winning the CEI 3-Star 160km, daughter Georgia the CEI 3-Star Junior Youth 160km, and younger sister Brigitte the CEI 2-Star Junior Youth 123km. All three were also awarded best conditioned prizes for their horses. Equestrian Sports New Zealand (ESNZ) high performance director Sarah Harris said as far as she could determine, it is the first time a junior has been named in the senior squad and also the first time a mother and daughter had both been selected. "They are at a very high level, they operate so professionally - the whole family really, from Murray through to Brigitte. It's a really exciting time for them as a family and also for the sport, to see some really talented riders coming through..."
Endurance doping: Time to draw a line in the desert sand? People do not need to be rocket scientists to realise how easily a sport’s reputation can be damaged by drug scandals. One only has to look at cycling to see how repeated and high-profile drug infractions can trash a reputation. Once lost, recovering that reputation can be a long and difficult process. The commercial damage can also be considerable, as sponsors tend to see little value in supporting a tarnished sport. Shaikh Nasser bin Hamad Al Khalifa today (JUNE 22) will lead some of Bahrain's finest riders at the sixth edition of the Best Endurance Dillingen 2013 in Germany. The event, due to take place at the Military training area in Dilingen District, will see more than 60 riders from around the world vying for glory, including members of the Bahrain Royal Team. This day-long festival consists of three races over 80 km, 120 km and 160 km, as the Bahraini team members are all lined up in all three rides. The 160km ride will be divided into six stages, including 35km each for the first and second stages. The third and fourth will be over 25km each, while each of the remaining fifth and sixth stages will cover 20km. PRAGUE An Omani rider did Sultanate proud by winning the Czech Republic International Championship for Endurance. Riding Ostora (legend), HH Sayyid Loay Bin Ghaleb Al Said clinched the six-stage 160-kilometre race comfortably. “I cannot describe my feeling when I saw the Sultanate flag being fluttered at such an international stage” Loay said after the race. The recently-concluded race saw participation of riders from nations across the Europe. The Omani rider said that the race was not an easy one as the topography of the track was very difficult and he also faced tough competition. The race was held under the supervision of International Equestrian Federation. It is also one of the approved races to gain qualification for the Endurance World Cup, which will be held at Normandy City in France, next year. The endurance race was held over as a six-stage competition testing the skills and technicalities of the rider. The race was split into 27 kilometres, 27 kilometres, 33 kilometres, 27 kilometres, 27 kilometres and 18 kilometres. Today, Monday, the deadline for submission of entries registered in the Raid World Championship Junior / Young Riders. Ten pairs listed in Spanish, which will five representing our country on July 27 Ibos-Tarbes (France). National coach Ignasi Casas, is scheduled to make two tests with these pairs before communicating the July 15 final list: the first on June 29 Casserres (Barcelona), the second, from 12 to 14 July, between the same locality and around Vic, coinciding with a test for shortlisted for the European Championships Absolute. Dubai: Shaikh Hamdan Bin Mohammad Bin Rashid Al Maktoum, Crown Prince of Dubai, won the 120 kilometre endurance ride held in Italy on Sunday. Shaikh Hamdan led a 1-2-3 clean sweep for the UAE when he finished first on Qhashmyr On Hazel. Abdullah Al Ghanim Al Marri on Wozzeck At Thaal was second, while Khalifa Ghanim Al Marri on Dac Dayre was third. STAYING power is a quality that West Devon endurance horse Grey Medlar has in spades and who at the age of 22 still remains as competitive as ever. LUCY Booth of Cardinham confirmed the promise of her home-bred New Forest stallion Hurtstock Moonman with a Supreme championship victory at The Native Pony Association (NPA) of Cornwall Spring Show. The popular fixture attracted an excellent entry to Chiverton Riding Centre, Truro, under the expert eye of Judge David Hodge, who made the trip across the border from Devon. He was clearly impressed with the high quality line-up and Lucy was thrilled when her home-bred New Forest stallion Hurtstock Moonman was selected for the Supreme championship. Hurtstock Moonman also had the honour of claiming the opening NPA of Cornwall champion of champions qualifier and stood home-bred champion over Mark Cosgrove and his Highland pony Whisper of Ceahlochan. This super three year-old went onto frank his potential at the Royal Cornwall Show where he clinched the New Forest championship. "I'm looking forward to backing him at the end of the year," said Lucy who also landed the reserve yearling championship with another of her home-bred New Forest ponies, Hurstock New Flame. Emma Devey of Duloe, emerged with the yearling championship with her Welsh Section C Ashmeadow Adelle and also took the two and three year-old championship with the Highland Holmedown Redsox. A large variety of mountain and moorlands came forward in the ridden section which saw Karen Andrews claim the championship and the NPA of Cornwall ridden champion of champions qualifier with her Welsh Section A Dwylan Meilir ridden by Rebecca Storey. The part-bred ridden section came under the expert eyes of Mr and Mrs Semmens who selected Georgina Mills and Trevaylor Tailormaid for the in-hand and ridden championship earning the combination a duo of tickets to the NPA of Cornwall champion of champions final. The next event in the NPA calendar is the annual Breed Show which takes place at the Royal Cornwall Showground, Wadebridge, on Saturday June 29. 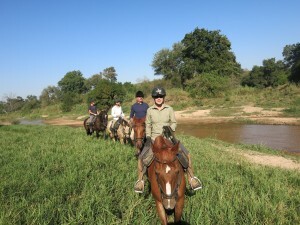 For schedules visit www.nativeponyassociationcornw all.co.uk and for further enquiries call Mark Cosgrove 01736 362906. Cornwall's first FEI endurance ride takes place at the Boconnoc Estate on Saturday and Sunday June 29 and 30. The Boconnoc Ride is classed as one of the major endurance rides in the South West calendar and this year two FEI classes will compliment a full range of competitive and pleasure rides. Lexington, KY - The United States Equestrian Federation (USEF) approved the Endurance FEI Nominated Entries for the 2013 FEI World Endurance Championships for Juniors and Young Riders. From the Nominated Entries, the team of five athlete/horse combinations will be entered on the Definite Entry on July 15th. 2013 FEI World Endurance Championship for Juniors and Young Riders will take place July 27, 2013 in Tarbes, France. More information about the Championships can be found here. The Boconnoc Ride, which takes place on June 29 and 30, is classed as one of the major endurance rides in the South West calendar. This year two FEI classes will complement a full range of competitive and pleasure rides. BADMINTON-BASED rider Rachael Claridge and her World Start and Development squad horse Blue Chip Maarhabi achieved third place in the gruelling 80km Minions Moorland Endurance GB ride. Formerly from Cornwall, Claridge knew the route after winning the event two years running with her Team GB horses Silver Mistrahl and Prince Meliodas. Picture this - a great surge of horse riders sweeping in from all over Normandy; all of them ready to take part in the different competitions that make up the Alltech FEI World Equestrian Games™ 2014 in Normandy…This imaginary scenario has been created for the start of the 2014 Games’ advertising campaign that was launched on 6 June, on the anniversary of the D-Day landings on the Normandy beaches. The term “scenario” is particularly fitting as the agency Prodéo and the illustrator, Jeff Wack* - the creative designers and directors of the campaign – have purposely brought a cinematographic feel to the poster; harking back to certain major Hollywood blockbusters of yesteryear! Creatively, they have set out to showcase the rich diversity of the event and the region itself. The eight competition disciplines - from Jumping, to Eventing, Dressage, Reining, Endurance, Vaulting, Driving, Para-Dressage, Polo and Horse-Ball - as well as the venues hosting them from 23 August to 7 September 2014, have all been represented in both a realistic and lively way. Working from real photographs, competitors and horses have all been redrawn down to the most minute detail. This was also the case for key sites such as the Abbey of Saint-Etienne, the Mont St Michel, Le Pin National Stud, the cliffs of Etretat and the Normandy Bridge. Those legendary sites form the perfect backdrop for the horse riders, and represent a testimony to Normandy’s richness and diversity. More than anything, the poster is an invitation to the biggest equine show there is; one that promises the public both sporting achievement and the opportunity to witness a unique event. Sporting prowess, spectacular performances and great excitement are on the menu in Normandy, so come join us at the biggest equestrian competition in the world! Issue 8 of Arabian Horse Int'l includes articles on the Godolphin Steroids Scandal, The GOlden Horseshoe - a 'triumph over adversity', the 26th annual Argentina National Show, First Rooyal Windsor Endurance ride breaks new ground, My Shahzada by Mel Attwell, and Joyce Sousa wins 3-day race by Merri Melde-Endurance.net. FEI President Princess Haya has ordered a round-table discussion about concerns within the sport of endurance. The planned meeting is understood to be in response to complaints from several European national federations over doping and horse welfare issues in endurance in Middle Eastern nations. Haya has asked Andrew Finding, a board member of the European Equestrian Federation, to chair the round-table session. More importantly, and the reason Nicky and Linsey organised the ride, was to raise funds for the Riding for the Disabled Association (RDA) and at the end of the day they were able to hand a donation over to Cass O’Brien from the local Bedale Branch for £500. The photo shows her accepting a cheque from Nicky Pink for £400 and after the event another £100 was also very kindly donated. BROOK Sample retained his title as national champion when he was first home to win his seventh Tom Quilty Gold Cup at Kilkivan on Saturday. Brook, 38, of Kenilworth, completed the five legs of the 160km course in nine hours and 14 minutes. This is Brook's third Quilty win on Brookleigh Excalibur, a horse he bred himself. He won by completing the rigorous ride along bush tracks though privately owned pastoral properties. He also won best conditioned horse and his 13th Quilty Buckle. In a fast-paced final leg with a galloping finish, Brook and Brookleigh Excalibur crossed the finish line just one-and-a-half lengths ahead of Akhmed Pshunov on Tarrangower Crecendo. 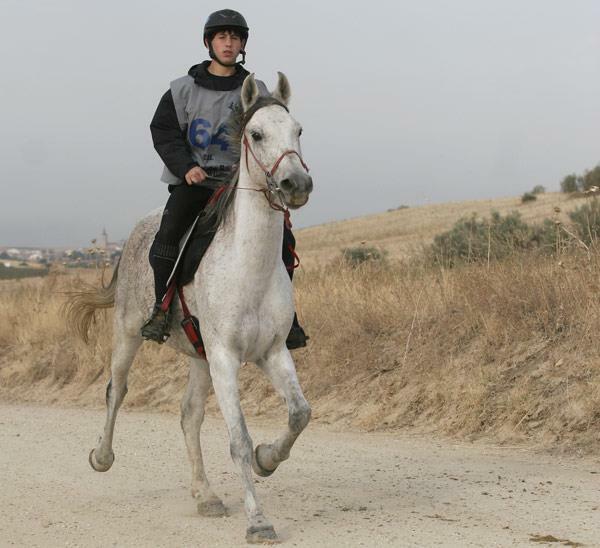 Akhmed, of Imbil, had put in everything, asking his horse to match Brook's over the 18km of the final leg. But, disappointingly, Akhmed's horse was vetted out as lame. Fédération Equestre Internationale President HRH Princess Haya has asked Andrew Finding, a board member of the European Equestrian Federation and secretary general of the British Equestrian Federation, to chair a round table session that will look into areas of concern within the sport of endurance. Tickets go on sale today ! Good news for all the equestrian fans who wish to attend the greatest equestrian event in the World : they can now reserve tickets and plan their trip to the Alltech FEI World Equestrian Games™ 2014 in Normandy through one the agencies listed in the table below. Those agencies will sell packages including packages that include Passes, accommodation and transport for the moment, until Passes go on sale for the general public in November. The finishing rate was very high, and achieve an average of 93% successful completion of all participants, which is well above the international average. The terrain here at times feels far more familiar than we would have guessed. Here and there you can almost imagine that you are home in Northern California. The frequent river crossings strongly resemble those in the base of the canyons of the Sierra foothills. We are in a vast valley, ringed by distant mountains. The earth shows signs of a volcanic history. In places the dirt is nearly pure white, then suddenly it will change to a deep red. There is quite a bit of loose rock that requires us to watch where our horses are headed. Large trees are not very common beyond the river, and many show signs of abuse by elephants. Most of the vegetation is made up of scraggly shrubbery, and a good number of these carry wicked thorns. We learned quickly that the worst-looking thorn bushes were actually relatively benign while the sweet and innocent looking ones, with almost fern-like leaves, hid thorns of wicked intent. As a group I think we are down about three pair of breeches and several shirts have been badly snagged – we’ll be abandoning a pile of thrashed riding clothes at some point. The UAE's Abdulla Ghanim Al Marri ("Safira de Ala") and Catalan Alex Luque ("Orion de Galleon 50,21%") tests respectively won CEI2 * CIS * Raid and Rascafría Villa-Santa Maria de El Paular, contested June 8 in Madrid. In the CEI2 *, the first to cross the finish line was the Spaniard Omar White ("Qarayan"), but the horse Juma's Team scored in the last control trot, so the victory took Al Marri, one of the four horsemen of the United Arab Emirates who took part in the event in Madrid, who signed an overall average speed of 17.92 km. / hr. Portuguese mare riding "Saphira de Ala". Our friend Florentino Pereira is hosting a clinic on Barefoot in Madrid for the weekend of July 12, the speaker will be Albert Villasevil. The content of this will be an introduction to Barefoot, management philosophy and applied to our times, and adaptation theory and practice of different types of boots. Vacancies are limited to 20 and if more people interested would organize one seconds Clinic. The recent successes of Barefoot Championships in Spain in Raid, 2012 and 2013 , as well as in other large National Calendar tests have thrown fans World Equestrian Resistance to test this system Barefoot Horse, but for this type technique, prepare technically and practically. My mare "Ventolera" already meets this month, the first three years of Barefoot Horses, along with their feet free of iron, no problem training all types of terrain. The first months of his new life barefoot, walked and trained with boots, so that your transition period shod to barefoot, did not suffer any inconvenience this change of "shoes". But for this change of "branding or no branding" have to seek help from experts in the field and read a lot about its advantages and disadvantages, not all horses they can apply this methodology and above all, by their status housing and feeding. In these courses on Barefoot, is where you have to learn to take care of our horses hull, to make a good monitoring and maintenance. We will continue this next course information on Barefoot. A fight to the finish on the weekend made for one of the most exciting conclusions in the history of the Tom Quilty Gold Cup. Defending champion Brook Sample had six Tom Quilty Gold Cup wins to his name going in to this year's event, but he had never won in his home state of Queensland. Mr Sample led in the final leg of the race but he and his horse Brookleigh Excalibur were challenged by Akhmed Pshunov on Tarrangower Crecendo on the home straight. Mr Sample says he has never been pushed so hard at the end of a Tom Quilty endurance ride before. "It was full on, we were flying at a full gallop and after doing 160 kilometres, having a full gallop down the grass verge was very exciting." "He is such a courageous horse, I actually slowed him up in that last loop and the other guy caught me and I just wanted to slow my horse up, I didn't want to hurt him." "But as soon as the other guy caught me my horse just lifted up a gear and he just said to me 'No way, I've not been doing this for 160kms to be beaten by this other horse' and he just took off, I couldn't hold him." "When they finish like that and they really want to go, they're a 95 per cent chance of their heart rate coming down and vetting back through and being a happy wonderful horse." For the first time in five years, the weather gods smiled upon the Minions Moorland Endurance Ride and it took place in glorious sunshine, with just a light breeze on top of the moor to keep the horses cool. There were a record number of entries this year, many of them local riders who came out to enjoy a route that is not usually available. Thanks to the generosity of local landowners and the St Cleer and East Moor Commoners, Sue Speed and I, as ride organisers, were able to link Minions Moor with East Moor by taking the riders through Smallacombe Plantation. Veteran long-distance rider William Reddaway (65) will pass through the Burnley countryside tomorrow (Saturday) during a 2,500 mile six-month charity ride. More than 250 riders have nominated for this year's Tom Quilty Gold Cup endurance horse ride at Kilkivan, near Gympie in southern Queensland. The ride, known as the largest horse endurance ride in the Southern Hemisphere, kicks off at midnight tonight and riders have 24 hours to complete a 160-kilometre course. Kilkivan hasn't hosted the event since 2008, and organisers worked hard this year to bring flood-damaged grounds up to standard. The small town's population is expected to swell by five times to 2,000 as support teams and spectators flock in. TODAY sees the Tom Quilty Gold Cup come to Kilkivan. The endurance ride is arguably the toughest in Australia and was founded by the legendary RM Williams. Since 1966, long distance competitive horse riding has been an organised sport in Australia. The Tevis Cup endurance ride, held in the US since 1955, inspired RM Williams to start an Australian long distance race. At the time he was editor of Hoofs and Horns, Australia's pioneer horse magazine. THE Melbourne Cup of Australian endurance racing, The Tom Quilty Gold Cup, is rearing to go in Kilkivan tomorrow. More than 250 of Australia's top riders will be saddled up to head out on the first leg of the annual Australian Endurance Riding Championships. The Tom Quilty Gold Cup starts midnight tomorrow with Kenilworth's Brook Sample the favourite to take out the event. Mr Sample will compete against the nation's best and a host of international riders from the United States, New Zealand, Japan and Europe. The current Australian champion has won a record six Quiltys. The 3rd annual Guatamalan National Endurance Championship, affectionately known as "the Little Tevis - Guatevis", will be held on June 8, 2013 at San Jose Pinula, Guatemala. Events include a CEN 1/2*, CEN 1*, and CEN 2*. Australia: 252 Starters for the 48th Tom Quilty Gold Cup at Kilkivian! 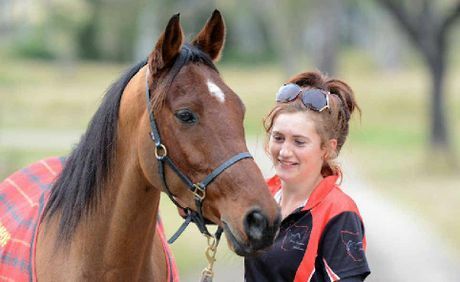 Australia's national endurance horse riding championship, the Tom Quilty Gold Cup, will have 252 starters at midnight on Friday June 7 at Kilkivan in south-east Queensland. While organisers had hoped 300 riders and their horses would nominate for the 48th Quilty - the nation's best test of true horsemanship - flooding earlier this year resulted in several key qualifying rides being cancelled or postponed. This meant many prospective first-time Quilty riders hadn't successfully completed a prior 160km ride in time to qualify for this year's ride. However, the event host, the Kilkivan Endurance Riders Club (KERC), is chuffed with the 250+ nominations from across Australia and overseas for the punishing 160km-long endurance pursuit. "We reckon this is pretty darn good," said KERC president, Vern Berry, who saw the ride base at Kilkivan showground devastated by floodwaters in January. Vern said the five legs of the rigorous Kilkivan track were in good condition, and lots of hard work by many volunteers had resurrected the showground's facilities, which are now ready to accommodate next week's influx of around 2000 people for the Quilty. This means a five-fold increase to Kilkivan's population as riders, their strapping teams, support crews, family and friends, organisers and volunteers set up camp at the showground. Spectators at the event will further swell the township's numbers over the weekend of June 8-9. Nine international competitors are flying in from the US, the UK, Japan and New Zealand, and an 18-strong contingent is crossing Bass Strait from Tasmania before heading north to Kilkivan. Two riders and their entourages are driving across from Western Australia, with another two coming up from South Australia, and many more are converging on Kilkivan from Victoria, New South Wales, and as far north as Herberton in far north Queensland. 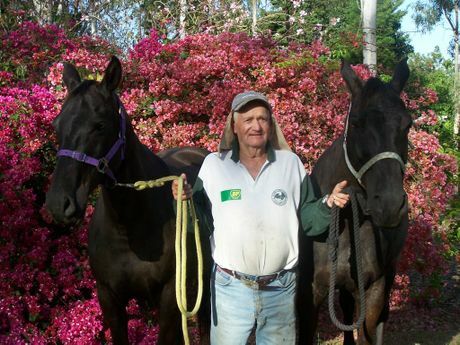 ALWYN Torenbeek has been riding horses since he can remember. And at the age of 76, he still gets on his horse everyday. Alwyn is off to the Tom Quilty Gold Cup, at Kilkivan in south-east Queensland this week to compete in a 160km endurance ride. He started riding in the event's second year in 1967. For more on Alwyn, check out this week's Morning Bulletin. - to appoint an "independent commission" led by a highly respected chairman to review the challenges and future for Endurance and make appropriate recommendations for action. "We back fully the work of the FEI, it's "Clean Sport" policy and it's determination to maintain high levels of welfare amongst the horses competing internationally. We are fully confident that the FEI will provide the leadership to ensure a prosperous long term future for the Endurance discipline of our sport." The EEF currently embraces 43 member national federations as well as 6 associate members in its organisation.